The capital of Slovakia was formerly called Pressburg and was once the capital of Hungary in the period 1541 to 1781. Bratislava lies on the banks of the Danube River, the second longest river in Europe and at the foot of the Carpathian Small hill. The city can be reached only 1 hour from Vienna by train. The historical heritage building of this city is centered in Stary Mesto (old town) or Bratislava old town, most of which is an 18th century baroque-style building with pastel color dominance. 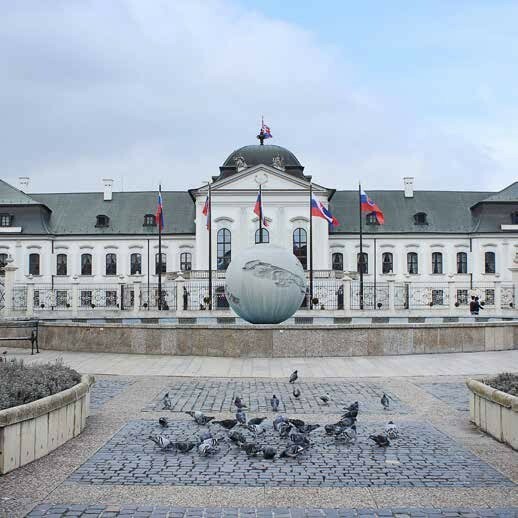 The Grassalkovich Palace is the residence of the president of Slovakia. 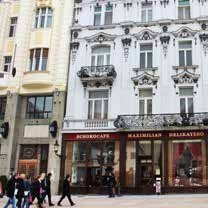 The palace is located downtown Bratislava, built in a rococo style with a French-style garden at the rear. In the park there is a replica of the statue of Queen Maria Theresa and the water mancuryang called "youth" made by Slovak sculptor Tibor Bartfay. Built in 1760, the palace was originally built for Count Antal Grassalkovich, as a summer residence as well as a formal feast for the Habsburg kingdom. After being renovated in 1990, the palace has been the official residence of the presidency since 1996. In front of the palace, there is a fountain with a globe decoration as a symbol of freedom. Walking past The Capuchin Church and Monastery, on the corner there is a peach and yellow building with little detail on the facade. Trinity Church, a church with rococo-style architrave designs, occupies the same location as the St Michael church that was previously demolished in 1529 during the Ottoman wars. In the early half of the 18th century began the construction of the Trinity church originally reserved for the Trinitians. The Church later became the Parish Church for the Holy Trinity since 1854. Historically, this church has the same architectural design as St. Peter's Church in Vienna. 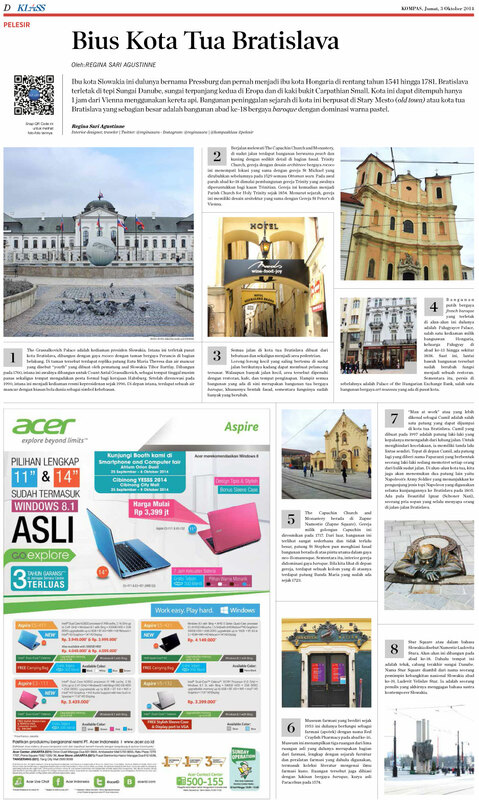 All roads in the old town of Bratislava are made of rock that is also a pedestrian area. The little alleys that meet each other at the next corner of the road can sometimes stray travelers. 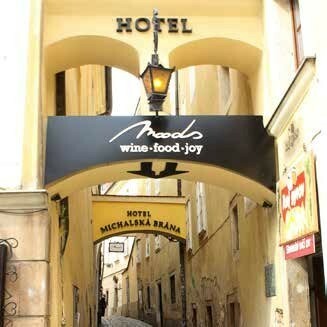 Despite the many small streets, the area is filled with restaurants, cafes, and lodging. Almost all the buildings here are old baroque-style buildings, especially the shape of the facade, while its function has changed a lot. The white french baroque-style building located on this square was once Palugyayov Palace, one of the residence of the Hungarian nobility, the Palugyay family in the 13th century until about 1838. Today, the downstairs of the building has already turned into a restaurant. Meanwhile, right next to it is the Palace of the Hungarian Exchange Bank, one of the art nouveau-style buildings in the city center. 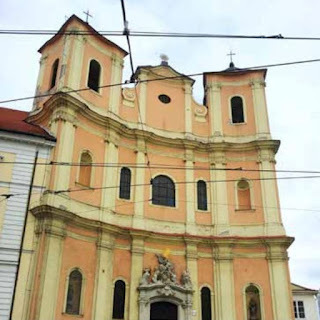 The Capuchin Church and Monastery is in Zupne Namestie (Zupne Square). This church belongs to the Capuchin group that was inaugurated in 1717. From the outside, this building looks very simple and not too big, St Stephen's statues adorn the building facade above the main door in neo-Romanesque style. Meanwhile, the interior of the church is dominated by baroque style. When we see in front of the church, there is a column on which there is a statue of Our Lady that has existed since 1723. 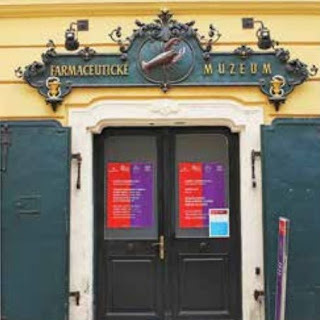 The pharmacy museum, which was founded in 1953, used to function as a pharmacy (pharmacy) under the name of Red Crayfish Pharmacy in the 16th century. The museum features three rooms from the original five rooms that were once part of the pharmacy, complete with the history of furniture and pharmaceutical equipment previously used, including a collection of literature on ancient pharmaceutical sciences. The room is also decorated with a baroque-style painting, the original work of Paracelsus in 1574. 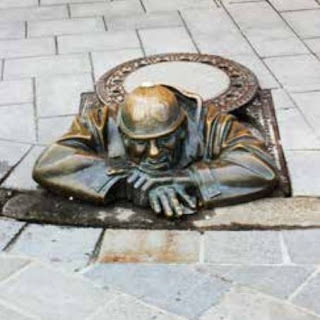 "Man at work" or better known as Cumil is one of the statues that can be found in the old town of Bratislava. 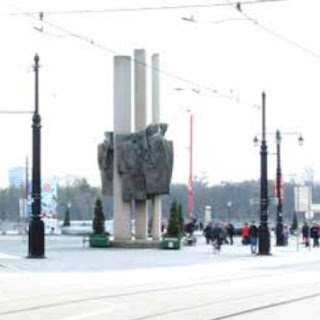 Cumil made in 1997 is a statue of a man whose head looks up from a pothole. To avoid accidents, he has his own traffic sign. Right in front of Cumil, there is another statue named Paparazzi in the form of a man photographing everyone from behind the street corner. In the square of the old city, we will also find two other statues of Napoleon's Army Soldier which shows to visitors the type of Napoleon hat used during his visit to Bratislava in 1805. There is also Beautiful Ignaz (Schoner Nazi), a polite man who always greets people on the streets of Bratislava. Stur Square or in Slovak is called Namestie Ludovita Stura. The square was built in the 18th century. Formerly this place was the bay, the last branch of the Danube river. 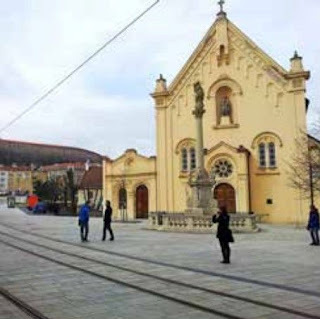 The name Stur Square is derived from the name of a leader of the national revival of Slovak 19th century, Ludevit Velislav Stur. He is a writer who finally initiated Slovak's contemporary language.